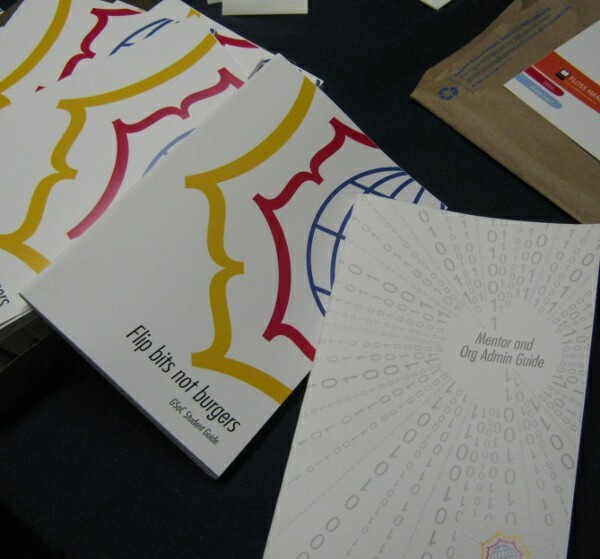 There are some interesting projects utilising Booki to create books. 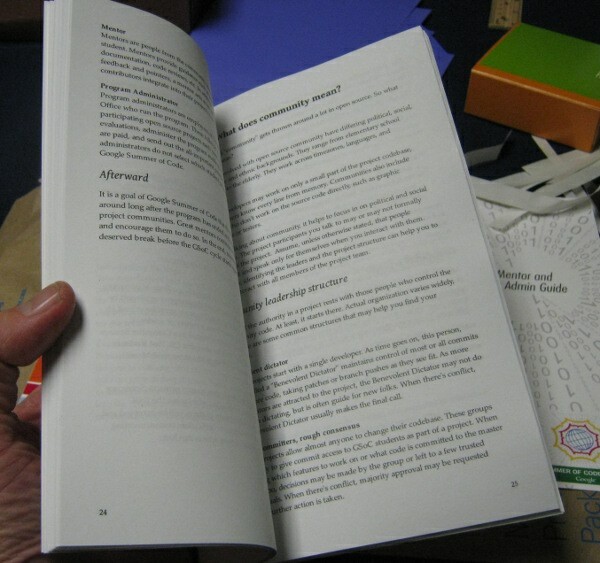 Some are groups, others individuals, some work with Book Sprints and rapid development strategies, others try the Book Slog… Of course, Booki being what it is means you can also help these projects ‘get written’ (or illustrated, edited, proofed etc) or you can also just open up the book-in-progress and watch it develop over time. 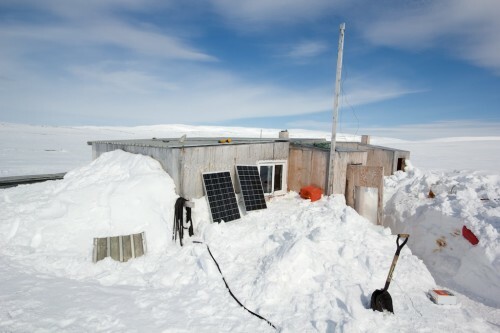 One project I want to highlight is the 3rd book in a series of 4 by API – the Arctic Perspective Initiative . This project is a large collaborative effort made up of people from all walks of life from all parts of the globe. Many of those involved gathered for a conference in Dortmund (Germany) a few days ago to talk about the project and to also kick start a book on Arctic Technologies. This book is, of course, being created in Booki and you can follow its progress here (log in first). 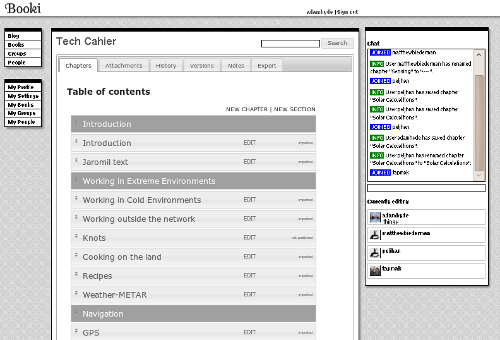 API are using Booki as the centre for a collaborative process to create a book on Technology in the Arctic.